Vintage inspired pearl and CZ bridal earrings. HOME / BRIDAL JEWELRY / Bridal Earrings / Vintage inspired pearl and CZ bridal earrings. 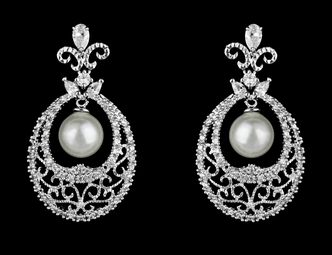 Description: Vintage filigree inspired pearl and CZ bridal earrings. measure approx 1.4" long.